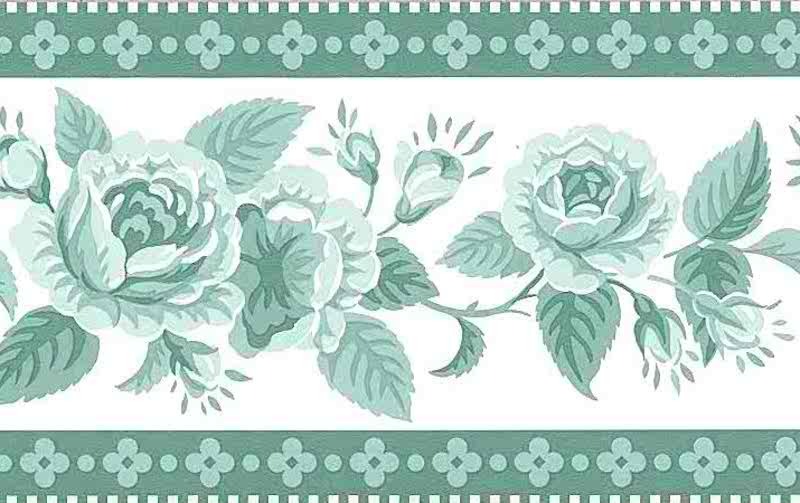 Green roses vintage wallpaper border by Waverly. 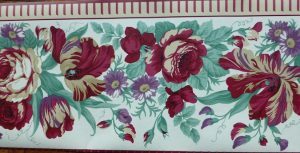 The Green in this floral wallpaper ranges from pale green to mint green to light green. On an Off-white background. The top and bottom edges are green with a pattern of dots and checks. Cottage style.